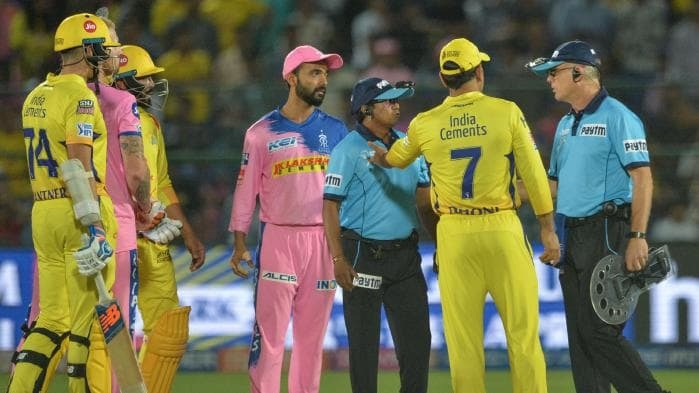 Bangladesh cricketer Nurul Hasan (R) exchanges words with Bangladesh cricketer Mahmudullah (2R) as coach Courtney Walsh (2L) looks on during the sixth Twenty20 (T20) international cricket match between Bangladesh and Sri Lanka of the tri-nation Nidahas Trophy at the R Premadasa stadium in Colombo on March 16, 2018. Bangladesh's Mahmudullah reacts after scoring the winning run to defeat Sri Lanka by 2 wickets during their second Twenty20 cricket match in the Nidahas triangular series in Colombo, Sri Lanka, Friday, March 16, 2018. 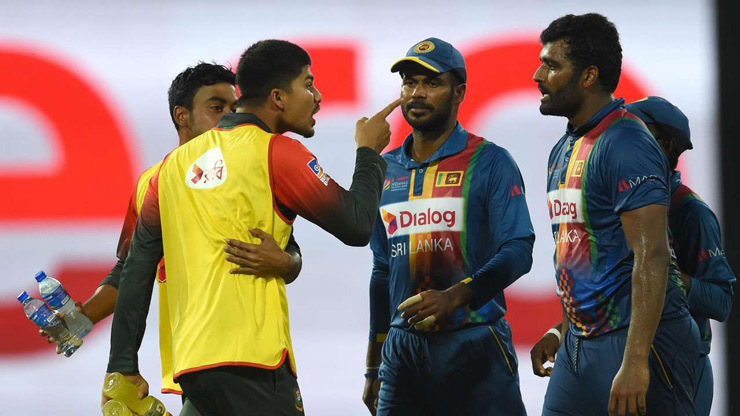 Bangladesh's Nurul Hasan (2L) exchanges words with Sri Lanka's skipper Thisara Perera (R) during the sixth Twenty20 (T20) international cricket match between Bangladesh and Sri Lanka of the tri-nation Nidahas Trophy at the R Premadasa stadium in Colombo on March 16, 2018. 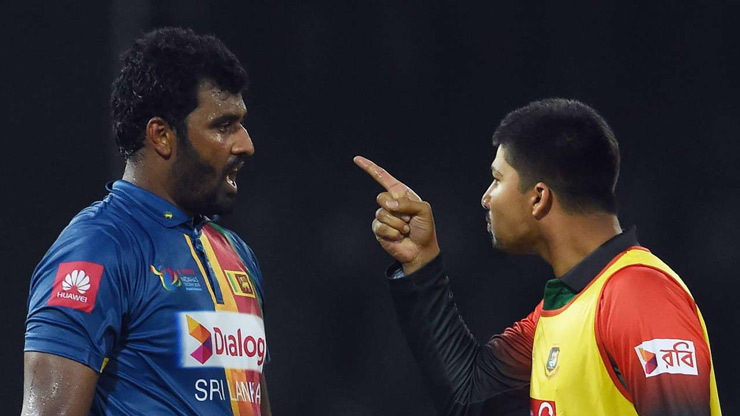 Bangladesh's Nurul Hasan (R) speaks with Sri Lanka's Thisara Perera during the sixth Twenty20 (T20) international cricket match between Bangladesh and Sri Lanka of the tri-nation Nidahas Trophy at the R Premadasa stadium in Colombo on March 16, 2018. Bangladesh's team members perform a nagging dance as they celebrate their team's victory over Sri Lanka by 2 wickets during the sixth Twenty20 (T20) international cricket match between Bangladesh and Sri Lanka of the tri-nation Nidahas Trophy at the R. Premadasa stadium in Colombo on March 16, 2018. 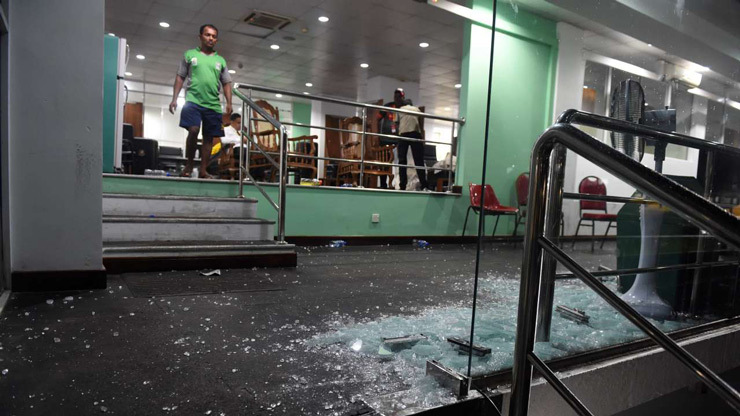 A picture taken on March 16, 2018 shows damages after celebrations by the Bangladesh cricket team pavilion after scoring the winning run to defeat Sri Lanka by 2 wickets during the sixth Twenty20 (T20) international cricket match between Bangladesh and Sri Lanka of the tri-nation Nidahas Trophy at the R. Premadasa stadium in Colombo.